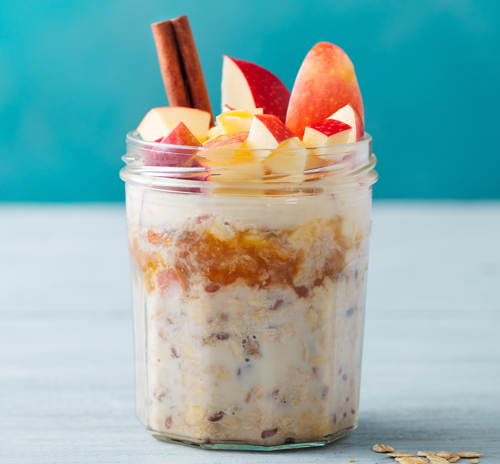 Overnight oats are great if you’re busy. Soak 1 cup of oats and a handful of raisins/sultanas in almond milk and leave overnight. By morning they should be soft. Grate green apple and add a dusting of cinnamon almond to serve. Perfect fuel to start the day.